KAYF Noah Bank Scholarship - Winners Announced! We first want to thank you for your participation in 2016 KAYF Noah Bank Scholarship. Our scholarship committee was greatly impressed by your amazing achievements and experiences and it made the selection process very competitive. We would also like to thank Noah Bank and KAYF Co-Chairman Mike Heesuk Kim for encouraging and recognizing the outstanding youth in the Korean American community. 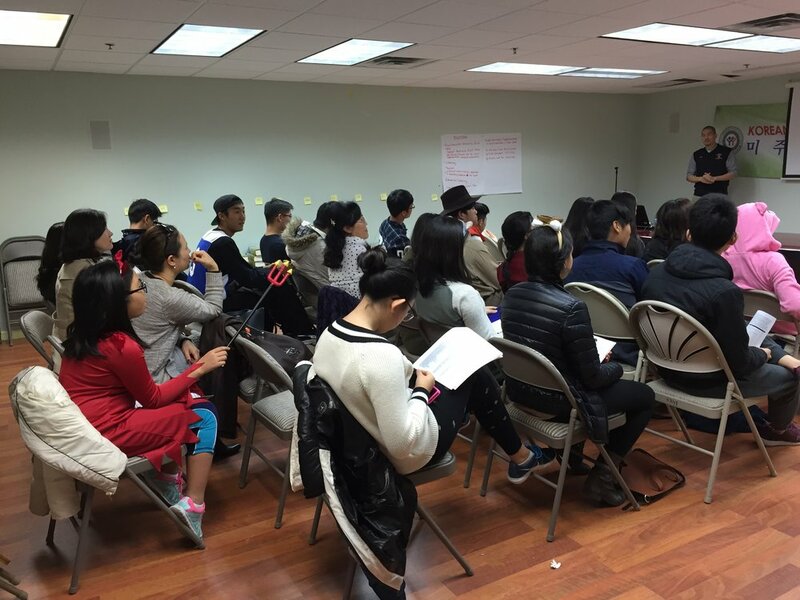 The scholarship award ceremony was on Saturday, 10/29 at 11:30 AM at the KAYF Conference Room located at 163-07 Depot Road, Suite B1, Flushing, NY 11358. Congratulations to the following scholarship awardees! One of our amazing board members, Max Min (who is also the conductor of our new KAYF Youth Orchestra) is having a concert this Sunday, April 17 at 6pm with his New York Tutti Ensemble at the Metropolitan Koryo UMC, 150 E. 62nd Street, New York, NY. The event is free with a small suggested donation of $20. We are excited to announce that KAYF has received its first private foundation grant for $10,000 from the Beautiful Foundation! We would like to thank The Beautiful Foundation and their Board and Staff for believe in our organization and understanding the important impact we are having on our youth and community. What time of year is it? If you're thinking--it's that time of year where we play embarrassing games but have the time of our lives, then YES it's time for KAYF's Holiday Party & Winter Reception! Get your tickets now at the early-bird discount rate. Thank you Stephen Tsai for facilitating such a wonderful and free college admissions workshop on 10/31/15. Congratulations to SILA participant Saungah Ko for winning the costume contest and receiving $50 of free movie tickets--just in time for Star Wars! 22nd Annual Golf Classic - Thank You To Our Sponsors! Nothing can stop the Korean American Youth Foundation's annual golf fundraiser, not even a hurricane! Although we had to work around the weather and reschedule our event a week later, we had a very successful golf tournament and raised over $40,000 for our youth program! Hello All, The application for the We Are Future Leaders (WAFL) Program for 2015-2016 is now available. Applications are due via email on June 30th. Please read through the whole application carefully and be sure to attach all necessary files when submitting. Please submit a completed application by this deadline by emailing us at thekayf@gmail.com with all necessary documents attached. The speech competition will be broken up into two rounds. The first round will be a three minute speech on the topic of “The change I want to make in the next 5 years”. This will be an elimination round. The top 15 winners of the first round will move onto the final round. The final round will be a 5-8 minute speech on a topic of your choice. The top three winners of this final round will receive a scholarship reward from KAYF, as listed above. Unfortunately, we have reached the deadline for new applicants as the program for this year has already begun. Please check back in February 2015 for our 2015-2016 Application. If you have any further questions, please call our office at 718-888-1174. Korean American Youth Foundation is looking for 2014-2015 WAFL students.